RPMI’s Founder, Ted Ritter teaches a seminar on Managing Healthcare Facility Design and Construction for the American College of Healthcare Executives every year. We also offer a shortened version of this seminar – 1 to 3 hours to fit the needs of the Board of Directors who may be seeking an overview on what approaches are available and what may best serve their specific needs. 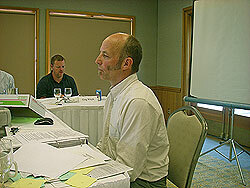 Learn more about RPMI’s Board Seminars. What to do first?Scope? Budget? How do I know what I can afford? How can I assure I get the most for my Capital dollars? What system fits my project?